Hi Support. Hope everyone is doing great. I am using Vodia 5.2.6 version. I have a query, let me explain. I have a client running call center. I am providing them VOIP. They have around 100 extensions on vodia. They want to change ANI frequently so that if people blocked their number through ANI change they would be able to call out. They are using Eye Beam/Port go SIP soft phones. One solution is they open pbx web interface and change ANI from there. But they don't want to do it. They want on Eye Beam/Portgo there is a option of Display Name, What caller ID number they put there it should goes out to receiving party. Or is there any way they can change ANI through soft phone? Please advise. Attached is the snapshot for Eye Beam. The Display Name has usually no meaning when you call out on a SIP trunk, it just goes into the digital dust bin. 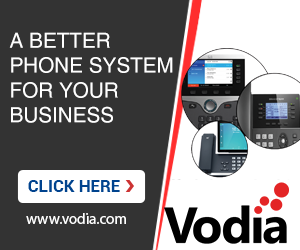 Most SIP trunk providers are very strict on the numbers they present, so you cannot just pick any number you like. For example not everyone should be able to use (202) 456-1111. 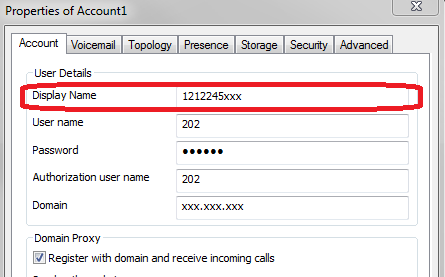 If you have a lot of DID on the system what you could do is set up an ACD for every one and have them log into the specific ACD; then outbound calls will use the ACD phone number, not the number of the extension. If the PBX runs outside of the NANPA region (US and Canada), you can easily add digits to a phone number. That might be something that would work.